As the sun was shining on this street corner, I was attracted to this peaceful, aged and harmonious view of a small Italian village. Time seems to have stopped when the whole town went into an afternoon recess. 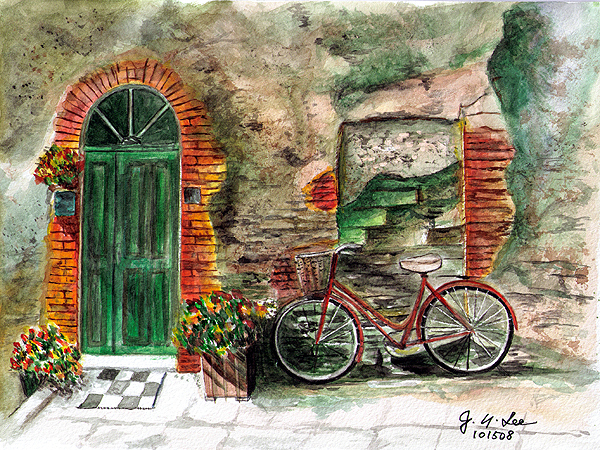 I don’t remember when I saw it before – could it be in my dream or from my trip in Italy ?